Rick R. Reed has been described as the “Stephen King of gay horror” by Unzipped Magazine. 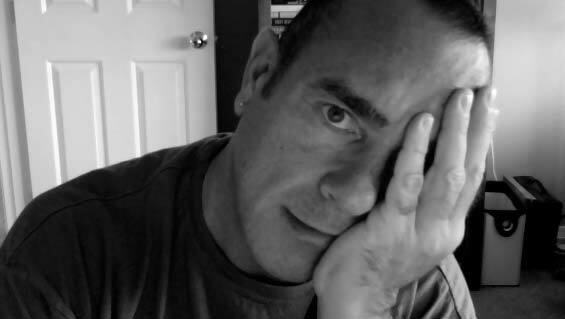 And Dark Scribe magazine said, “Reed is an established brand — perhaps the most reliable contemporary author for thrillers that cross over between the gay fiction market and speculative fiction.” Reed also chronicles the emotional lives of gay men in his work, with an increasing eye toward exploring the romance genre. Rick Reed was born and reared in the small Ohio River town of East Liverpool, OH. He grew up with his parents and two sisters on the banks of the Ohio, just 45 minutes west of Pittsburgh. His hometown is known for its pottery production and has been featured in the books, Deadly Vision, Mute Witness, and Dead End Street, except he called East Liverpool Summitville, PA. He attended Miami University in Oxford, OH and got degrees in both English (with Creative Writing emphasis) and Mass Communications. After graduating from college, he moved to Chicago, where he lived most of my adult life. Most of his books have been set in Chicago–the place was very inspirational for him and still is. During his time in Chicago, he married and divorced. That union produced a son, Nicholas, who is now happily living in Montreal, Quebec with his husband, Tarik. He has also lived in Tampa, FL and Miami, FL. Currently, Rick Reed lives in the Pacific Northwest in the great city of Seattle, with his partner, Bruce, a buyer for a national retailer headquartered here and their dog, a Boston Terrier named Lily. Rick Reed’s love for writing began with a passion for stories that began when he was probably about four years old. He wrote his first short story when he was about six years old, first play in fourth grade, and he kept his fifth grade classmates enthralled by reading to them aloud a serial novella he wrote about a young girl’s kidnapping. Rick Reed’s first publication came in 1991 with Obsessed in Dell’s lauded horror line, Abyss. Penance quickly followed. Since then, he has been writing what he cared most about: gay themed suspense, horror, and romance. To date, he is getting close to twenty books in print, with short stories in just about as many anthologies. In what little spare time he has, his passion for stories continues with a deep and abiding interest in reading (he is never not reading a book, and his favorite authors include Flannery O’Connor, James Purdy, Patricia Highsmith, Stephen King, and Ruth Rendell). He also loves stories told in the media of movies and theater. He was a theater critic for nine years with the Chicago weekly, Windy City Times. He now reviews books for Dark Scribe magazine. Writing has always been the way Rick Reed made his living, and when not writing suspenseful, twisted tales, he plied his craft as an advertising copywriter for associations, catalogs, and ad agencies. You can find all Gothic.net articles and fiction relating to Rick Reed at tag Rick Reed.